Our Pet Friendly Family Owned and run Exclusive Caravan Holiday Park offers the personal, friendly touches that make it your home from home! Welcome to Lufflands Caravan Park; we strive to offer a home from home within our beautiful surrounding North Devon and Cornwall countryside. Relax in your Tourer on one of our Annual Touring pitches with newly refurbished facilities block or enjoy a relaxing holiday or short break in one of our well equipped holiday homes. Looking for something more permanent, we offer Static Caravan Holiday Homes for sale with a 12 month holiday season! Brand new and pre-owned homes are now available for viewing; visit our homes for sale page to see what we have on offer. Our small friendly park has facilities that include a small shop within our Reception with some basic essentials and bottles of wine; freshly baked to order Cornish Pasties or visit Lufflands Bar (open max of 4 nights in summer season) or weekends at other times. 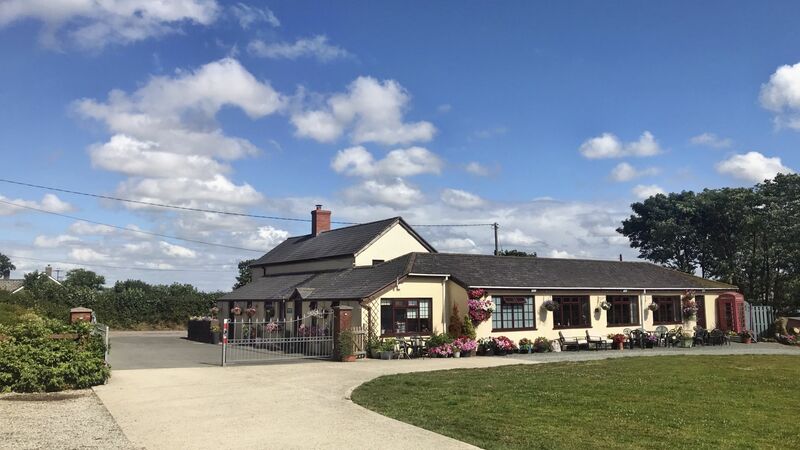 We serve a varied menu which includes some homemade dishes including our very own homemade Steak & mushroom pie along with a variety of drinks. Perfect to enjoy outside in the gorgeous summer sunshine. We welcome pet owners and we have a dedicated meadow for your pooches to enjoy some time off their leads and use up some energy. For younger members of your group, we have a games room with pool, table tennis, swingball and a few other games along with plenty of space for outdoor games on our meadow. Visit our holiday booking page for details about our Holiday Home Hire, if you cannot find the holiday you require or you would like any further information to help you decide, please contact us directly using the contact details at the bottom of each page. Alternatively, please use the contact us page. Thank you and we look forward to welcoming you soon. Lufflands Caravan Park is set on the North Cornwall/Devon border. Nestling between the market town of Holsworthy and the village of Bradworthy but with the 2018 Award Winning Best Seaside Town of Bude with its beautiful beaches and sea pool being within 20 minutes drive. Lufflands is within easy reach of Bude and the rugged North Cornish Coast, beautiful Dartmoor, Tarka Country, Tintagel, Padstow and Clovelly. There are golf clubs at various locations including Holsworthy, Bude and Camelford. For the coarse fishermen we are only 1.5 miles from the excellent Wooda Lakes and 3.5 miles from the Upper and Lower Tamar Lakes, with many other venues nearby. And of course, sea fishermen are spoilt for choice. This quiet, unspoilt part of Devon has something to offer all tastes, from award winning beaches with sand and surf at Bude and Widemouth Bay to long walks over Dartmoor; superb seafood restaurants at Padstow to first rate pub-grub at reasonable prices and for sheer quaintness, the unique Devon fishing village of Clovelly. Enjoy your stay!